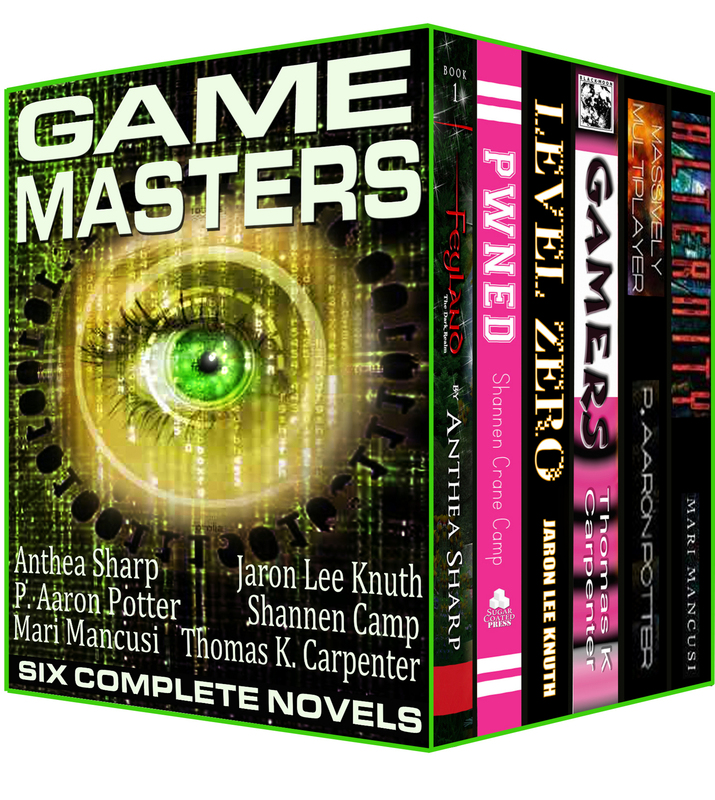 Game Masters – Achievement Unlocked! Six bestselling authors of gamer-themed fiction explore the intersection of pixels and reality, tackling big issues with plenty of adventure and geeky goodness along the way. From a modern-day coming of age tale packed with humor to a gritty speculative dystopian future, these bestselling and award-winning authors deliver, with books that explore the boundaries of immersive gaming. In the world of Crucible, Andrew doesn’t have to worry about what major to pursue, or whether he should get a summer job. All he has to worry about is whether or not he’ll get eaten. But with a hacker on the loose inside the game, the stakes turn life-or-death. High-tech gaming and ancient magic collide when a computer game opens a gateway to the treacherous Realm of Faerie. Jennet Carter never thought hacking into her dad’s new epic-fantasy sim-game would be so exciting… or dangerous. But behind the interface, dark magic awaits, leading her toward a battle that will test her to her limits and cost her more than she ever imagined. Two points for brushing your teeth. Ten points for keeping your room tidy. Seventy-two points for the Bioeconomic Game Design pop quiz on the ride to school in your personal FunCar. Another thirty for making every hurdle in gym class. Life is a game, unless you’re not the one winning. When the sequel to a popular title is released to the public for a special beta test, a group of players eagerly log in to try out the new experience. What seems like harmless violence quickly turns all too consequential when the players realize the game’s biggest error: They can’t log out. Reagan West has a perfect life. She’s at the top of the high school food chain as co-captain of the cheerleading squad and she’s best friends with the most evil girl in town, Tawny Perez, which means she’s never on the receiving end of her wrath. The only trouble in Reagan’s perfect life comes from the threat of her dirty little secret leaking to her fellow classmates… she’s a closet gamer and hates her role as the evil cheerleader. Imagine every night entering a nightmare world you can’t escape and being told your real life is nothing more than a dream. Skye Brown thought she had it all–good grades, a hot boyfriend, and an even hotter job beta testing RPG videogames. But lately she can’t enjoy any of it because of the dreams. Of a post-apocalyptic world. A bleak underground wasteland. A struggle against a dystopian regime. This entry was posted in Book Bundles, Books, Gamers, Reviews, Sale! and tagged computer games, gamer girls, geek reads, mmo, virtual reality. Bookmark the permalink. 1 Response to Game Masters – Achievement Unlocked! Just wanted to say thanx for the email re your latest box set of novels. Will surely look ntothose soon.